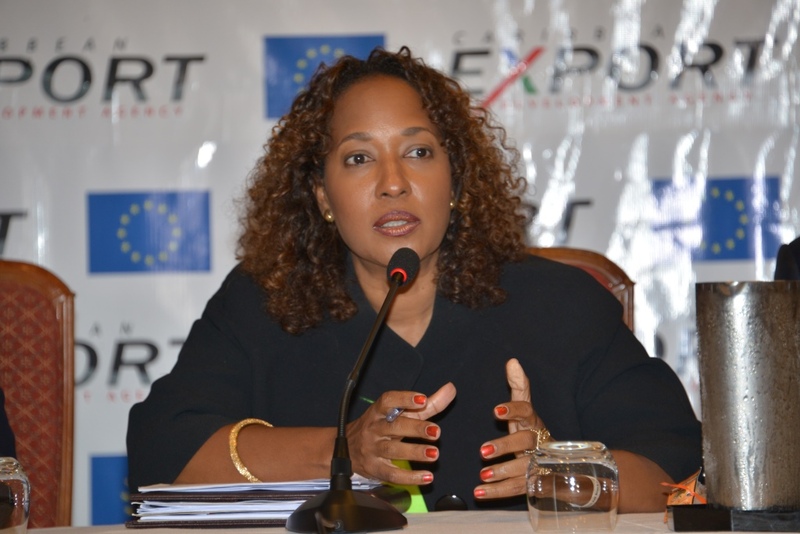 The Caribbean Export Development Agency (Caribbean Export) opened the two-day sub-regional workshop on branding and the use of geographical indications in the development of management strategies for origin-linked products at the Knutsford Court Hotel in Kingstown, Jamaica on July 21st. With the aim of building the capacity of CARIFORUM producers to identify and develop geographical indications and origin linked products, it is hoped that attending businesses will prosper and enhance their competitiveness in the international arena, and as a result build economic growth and sustainability of the Caribbean region. Mrs. Pamela Coke-Hamilton, Executive Director of the Caribbean Export Development Agency (Caribbean Export) in her welcome remarks expressed, “We recognise that the environment in which the region’s private sector operates is ever changing and key areas such as Intellectual Property Rights have emerged which require us to pay attention”. The workshop was hosted by the Caribbean Export in collaboration with the Government of Jamaica (the Jamaican Intellectual property Office), the Office of Trade Negotiations of the CARICOM Secretariat, the World Intellectual Property Organisation and the REACH Programme of the Inter-American Development Bank in Kingstown, Jamaica from 21st – 22nd July.